As a homeowner, it's important to understand your solar power financing options. From solar panel lease programs to solar loans, a homeowner interested in implementing a residential solar power system will benefit from taking some time to get familiar with the many financing options they qualify for. Not only can these programs provide the solar power financing you need to bring your solar vision to life, there are also some great solar energy incentives that can help you significantly reduce the cost of your residential solar energy system. Another special type of loan you may qualify for is an energy efficient mortgage (EEM). These can be created for both new or existing homes. A solar lease is another great solar power financing option for homeowners that doesn't require the up front capital to get a solar power system installed in your home. This option allows you to lease solar equipment instead of purchasing it. 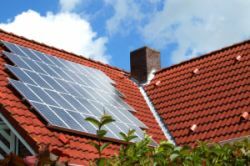 A solar power company will provide the solar equipment and install it on your home. You then pay a fixed monthly lease payment to the company in return for using the system to generate power for your home. You lock in the cost of the energy you use. When the price of electricity provided by the utilities increases, you won't be affected. 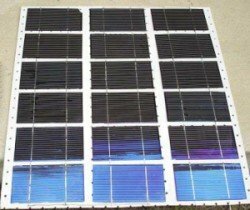 You are able to go solar with minimal up front costs. There are many types of solar power incentives you can use to help offset the cost of solar energy. Some of these incentives are provided by your local, state, and federal governments while others are provided by solar manufacturers and utility companies. Government solar incentives are generally provided to help encourage the use of solar energy. This is critical in order to help bring down the cost of solar energy over time. The more people that are using solar technology, the less expensive it will become. On the other hand, solar manufacturers will offer incentives to encourage homeowners to use their products. It's a win-win for solar manufacturers and homeowners. A solar energy tax credit is an incentive offered by the federal government as well as some state governments. Their purpose is to encourage solar energy usage by making it more affordable for homeowners take up. These are most applicable for solar hot water and solar photovoltaic systems. This is a great incentive because a tax credit is more beneficial than a tax deduction. With a solar tax credit, you will be able to reduce your tax bill dollar-for-dollar for the cost of your system up to the incentive limit. A tax deduction, on the other hand, only reduces your tax bill by a percentage of your costs based on your tax bracket. Solar power rebate programs exist for most types of residential solar energy systems. Most rebates are for photovoltaic systems and solar water heating systems. But some are also avalable for other types of solar heating, solar cooling, and daylighting systems. The majority of rebates are provided by utility companies, so you should definitely contact your local utility to find out if there are any rebates available for the solar technology you will install in your home. This can be an important part of your solar power financing plan. 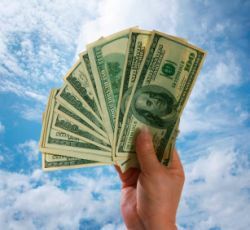 If you qualify, solar energy grants are some of the best incentives available. Unlike a solar loan, a solar grant is a financial reward that you do not have to pay back. The challenge will be finding grants that are targeted at residential solar power systems. Most are for commercial, industrial, utility, education, and government solar power projects. For homeowners, you will only need to look at State, Local, and Utility grants for solar power. There aren't any residential grants in the Federal and Non-Profit categories. With a solar power purchase agreement (also called sppa or solar ppa), the solar power system installed in your home is owned by a solar company and you simply pay them for the power the system provides. This is similar to a solar lease, except that with a solar lease you are actually leasing the solar equipment whereas with a solar ppa you are only paying for the power the system generates. As a homeowner, there are several options available to you for financing your solar power system as well as multiple solar power incentives that can significantly reduce the overall cost of your system. Make sure you consider all of the solar power financing options available to you.